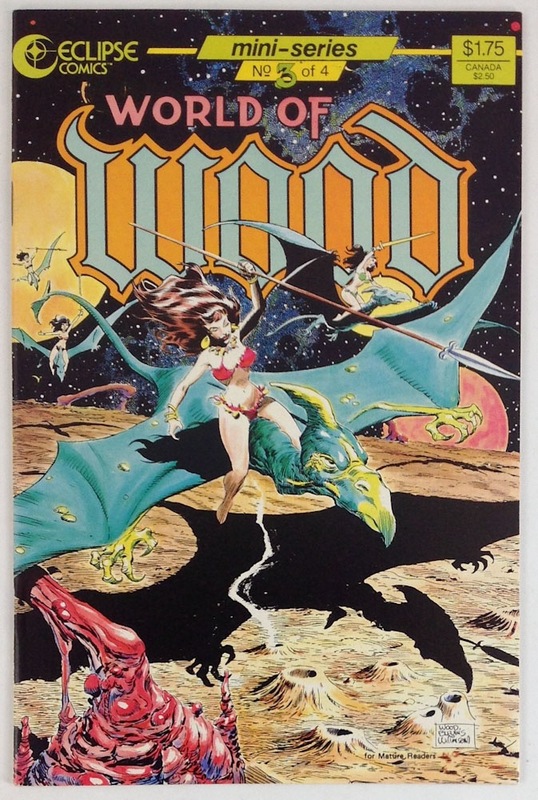 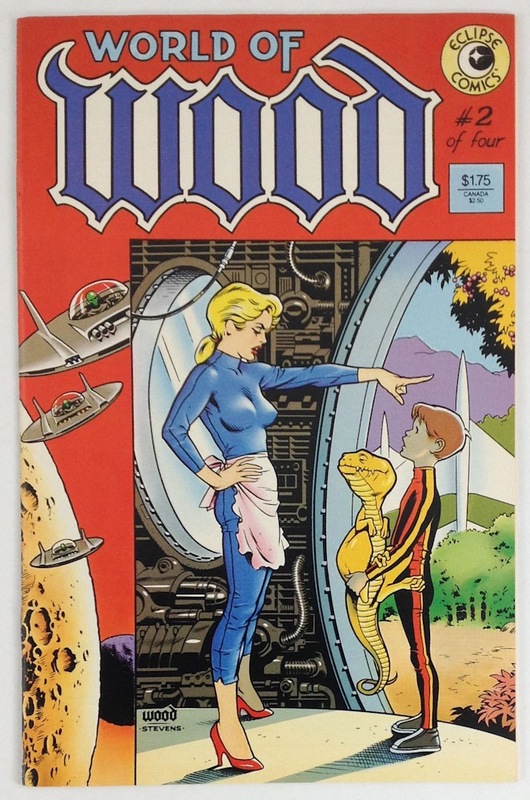 Covers by Wood, Dave Stevens, Wood inked by Stevens, and Wood finished by Blevins and Williamson. 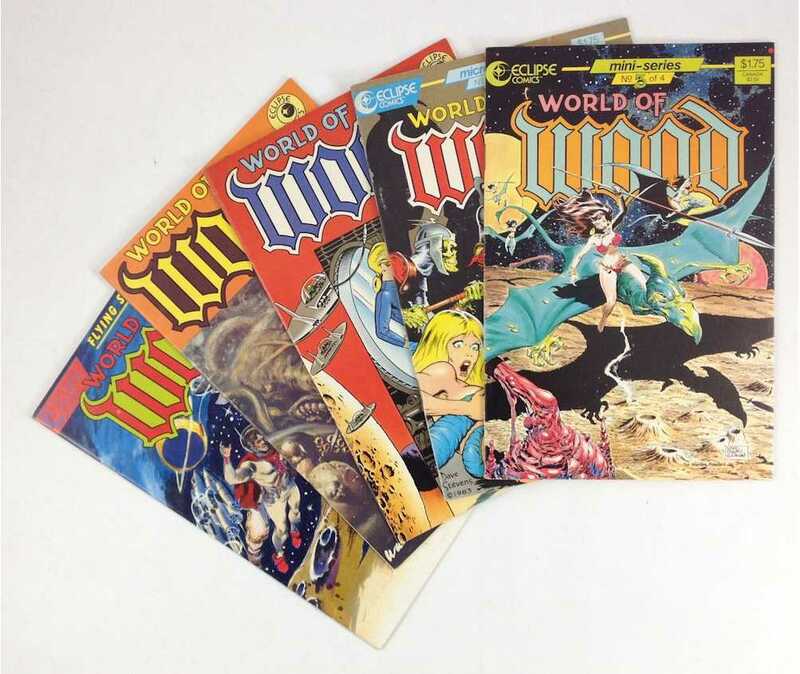 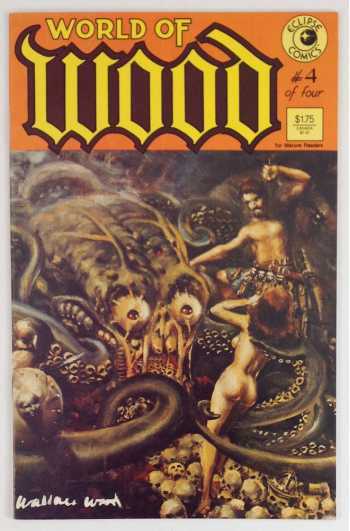 The four planned issues of the World of Wood series reprints stuff published in various Warren magazines in the 70s. 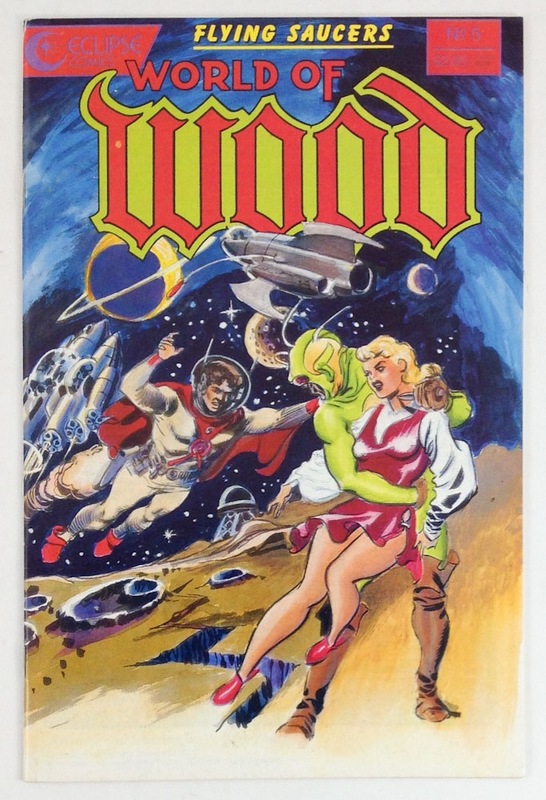 The fifth issue reprints flying saucer stories from other 1950s comics publishers.